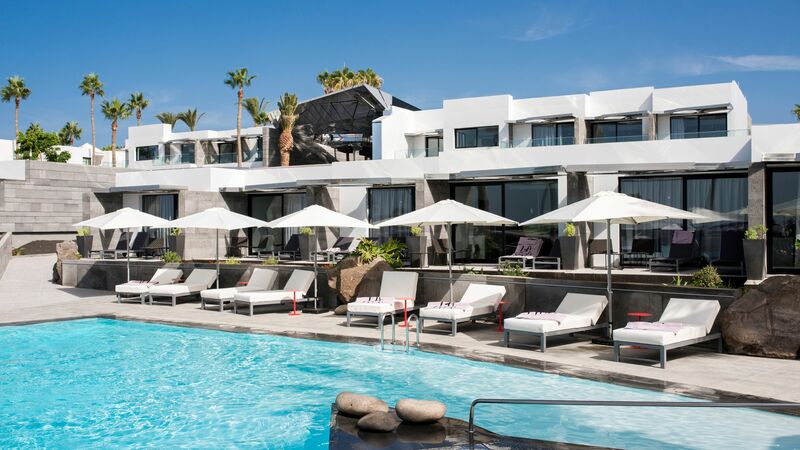 Nestled on the south eastern coast of Spain’s sunny Lanzarote island, Puerto del Carmen holidays offer the chance to relax by day and enjoy the bars and restaurants by night. It’s the perfect place for couples and families with older children. Choose from three different beaches – each offering their own unique charm. Playa Grande is backed by the town’s main promenade and offers sun loungers, parasols, and gentle waves and golden sands, perfect for families. Playa Pocillos is ideal for water sports enthusiasts, with huge waves perfect for windsurfing and more. For something lower key, Playa Chica is backed by the old town and has calm, clear waters ideal for scuba diving and snorkelling. The town itself is lively and full of amenities and activities for visitors of all ages. Wander along the promenade where you’ll find a host of bars, shops, cafés, and restaurants, or head into the old town and immerse yourself in the area’s history. This former fishing village has retained some of its original architecture and charm, with family run tavernas serving up traditional seafood dishes and pretty whitewashed streets to explore. Whether you’re travelling with your partner or children, we’ll help you find the ideal luxury holiday to Puerto del Carmen. Spend your days exploring the three beaches or taking part in the watersports and activities available in the town, before heading to a beachside bar or restaurants for drinks as the sun goes down. If you want to immerse yourself in the culture or find a further range of activities and amenities, take the 30-minute drive the island’s capital, Arrecife. Here you’ll find an 18th Century castle, local art, and a host of shops and restaurants. If you want to enjoy the ultimate luxury holidays to Puerto del Carmen, we have you covered. Book your stay at the La Isla y el Mar hotel with Sovereign and you can enjoy the best service from the moment you call us, to the moment you return home. The hotel serves up delicious traditional Canarian dishes alongside international options, with spectacular sea views from the panoramic windows. Spend the day by the swimming pool, in the spa, or in the chill out area, before returning to your elegant suite for the ultimate in comfort. Transfer time from Arrecife airport to Puerto del Carmen is approximately 15 minutes.